You can register online, by fax or email, or via telephone. If you prefer, you can fill out the registration form on the back page of the brochure and fax or email it to AVCJ. Fax your completed registration form to the attention of Customer Services Department, Jovial Chung at +852 2158 9652 or email her at enquiry@avcj.com. Alternatively, you can call Anil Nathani at +852 2158 9636. Fees include the one-day conference, refreshment and luncheon and all conference documents. To collect conference passes and conference materials, delegates must present their business card at the registration desk on-site at Four Seasons Pudong, Shanghai at 8:15am on 18 October. The delegate list will be posted at the conference venue on 18 October. No hard or soft copy will be distributed. Please use the event breaks as networking opportunities. All cancellations must be received in writing prior to 4 October 2018 to qualify for a refund, less a US$300 (or equivalent) cancellation fee. Cancellations received after 4 October 2018 will not qualify for a refund.This policy is necessary due to our advance guaranty obligations and the costs associated with administering the conference. Yes, but notification of replacement must be made in writing and received prior to the event start date (18 October). No. The conference pass is valid for the designated delegate only.No sharing of the pass is allowed. However, please be aware that a group rate is available for the second and subsequent additional registrants from the same office. Where and when is the main conference program taking place on 18 October? 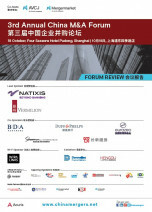 The main conference starts at 9:00am in the Four Seasons Ballroom, Four Seasons Pudong, Shanghai on 18 October. The coctail reception will take place at the Grand Salon of Four Seasons Ballroom on 18 October. The cocktail start at 6:00pm. Yes. Delegates need to contact Four Seasons Pudong directly. The hotel details and reservation form are available on the back page of the conference brochure. All questions, changes, cancellations or other requests regarding hotel accommodation should be directed to Four Seasons Pudong, Shanghai. Please click here for Four Seasons Pudong's contact details.